Named by local Aboriginal people, this sculpture was created in close consultation with Ysola Best, an elder of the Kombumerri people and director of the Yugambeh Museum Language and Heritage Centre in Beenleigh. It is directly linked to her grandmother Jenny Graham who, late last century, was the Nerang River Pilot responsible for lighting the navigation beacons. 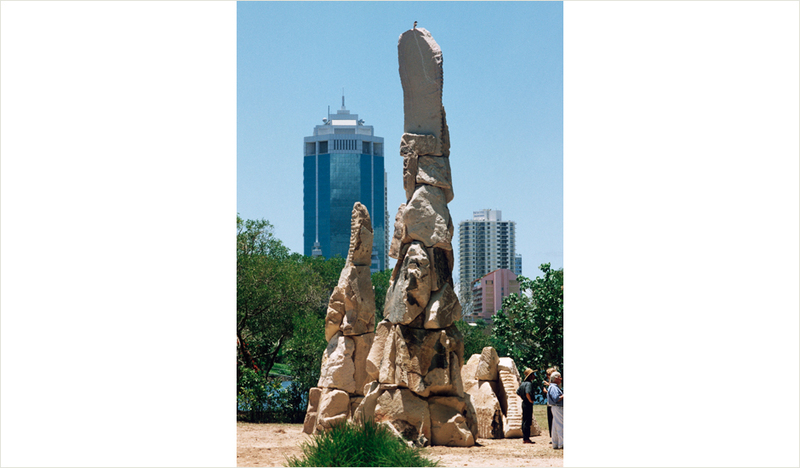 The sculpture stands like flames frozen in stone at the end of the point defined by the Nerang River. The name means ‘keeper of the light’ or ‘keeper of the flame’.